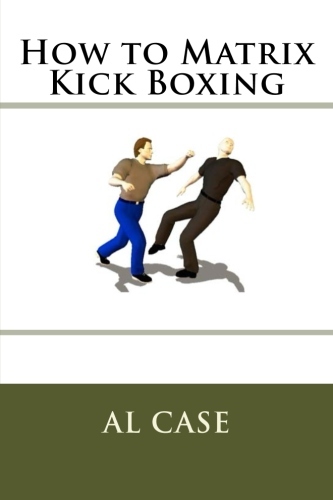 NEW MARTIAL ARTS BOOKS AND VIDEO COURSES! Chiang Nan ~ The truth about the secret pact Okinawan masters made to hide the real karate techniques. The lost form, Channan, from which all Karate came from, and…How to Translate Karate into Tai Chi Chuan! Click here if you dare! Matrixing Kenjutsu ~ How to matrix the samurai sword! Total breakthrough in how to learn weapons fast and efficiently! Click here for BEST RESULTS! 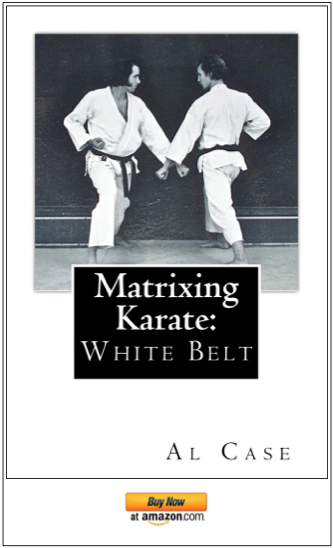 The Core Program for Learning Matrixing in all Martial Arts! Karate is an easy style, should only take a few months to learn, but here’s the story of what was done to karate to make it long and difficult … GO HERE! I know of one martial school that has over 3200 techniques. That’s silly! There’s only so many limbs, so many joints, and here’s the quick and easy way to sort your way through them. … MOUSE HERE! My method for teaching Aikido is more conceptual. Instead of throwing somebody into a bunch of limbs and telling them to find the trunk, I put them on the trunk and tell them to grow some limbs. It REALLY works! …. PRESS HERE! There are six rules to follow if you wish to have perfect technique. There are only seven principle to know if you wish to have perfect form. Know these 13 things and you can teach yourself! …. VISIT PAGE! The preceding four courses will jump start your art. GO HERE AND PAY 30% LESS! 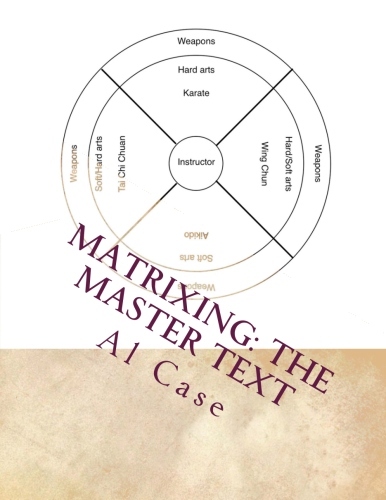 The matrix Program for Learning Kung Fu! The fastest, easiest way to learn Kung Fu in the world! You must escape the ritual and find the logic, then Shaolin kung fu becomes quick and easy to learn. There are probably hundreds of styles of Shaolin kung fu, but here’s the one style that … RIGHT HERE! The reason Pa Kua (Bagua) worked in the first place is because it was simple. Less than 200 years and it has become a carnival. Here are the keys to simplify it again. …. PRESS HERE! Do Tai Chi (Taiji) for health, and you lose the benefits of self defense AND health! Put in the self defense and you get ten times the health, and one of the most combat effective martial arts in the world. … GO TO THE PAGE! The only course of its kind in the world. Absolutely, totally unique. Will totally unlock a LARGE door in your mind. … THIS IS THE WAY! VISIT THE PAGE AND PAY 30% LESS! The Matrix Program for Learning Weapons! Want to specialize in weapons? Don’t want to spend $3000 on a trip to the orient? The fastest, easiest way to learn the Samurai Sword and the staff! This course breaks the samurai sword and the staff down to basics, then teaches you how to assemble those basics in a complete art. …CLICK HERE! Another case of something simple made difficult. Look, there are only so many ways to attack with a weapon, so why not create responses that are logical and intuitive? Why make it difficult? … CLICK HERE! The Bible of Matrixing, this large volume (180 full size pages) details the history and devlopment of Matrixing. It includes the graphs and charts from all the Matrixing Courses. … MOUSE TO HERE! Warm up or cool down. Rehabilitate injuries. Become more strong and more flexible, and …have better Martial Arts! Yoga has worked for thousands of years, and it REALLY works with the Martial Arts. … PRESS ON THIS LINK! After near a half century of studying Karate, these are the best karate forms and techniques. … MOUSE OVER TO HERE! This is an amazing book, these is real upper level stuff. … THE BOOK IS HERE! They were out of print for a long time, but these are the ten books written just prior to the advent of Matrixing … START READING HERE! The major freestyle training drills matrixed. Your fighting abilities are going to go out the roof! … CLICK HERE! YOU CAN HAVE FORTY YEARS OF RESEARCH! and you would make some progress. in the entire history of the Martial Arts. by as much as ten times! to help you understand this new science. I want to thank you for all the fantastic Matrix courses you are offering. The Matrixing process really speeds up learning and even helps with retention of the material as well. Al I am hoping that you would consider trying to Matrix a course on Hsing I (a.k.a. Xing Yi). Recently I have become particularly fascinated with the martial applications as well as the health benefits of the so-called Chinese internal arts. I really do appreciate that you have a Matrix course for both Tai Chi and Pakua (a.k.a. Baguazhang). I would love to see what you could do with Hsing I after the Matrixing process has been applied. Thanks again Al for all your efforts and good work. Please do consider the Hsing I Matrixing possibility —- thanks again :). It’s a shame Robert Smith is no longer with us. He did a couple of books on Hsing I. I have read those and your Karate does look like Hsing I. Not to send bus. 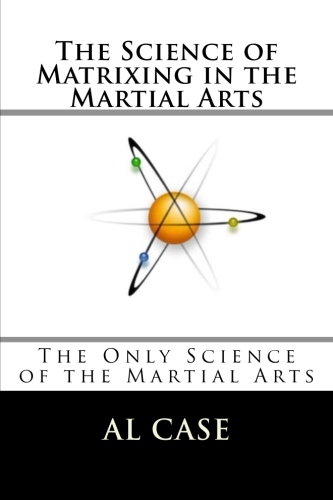 away from Sifu Al but Mike Patterson has some good, although short in duration, Hsing Yi instructional tapes IMO. I’m not ashamed to say I learned my 5 element fist from his tapes in the early 90’s as my Chinese teacher wasn’t teaching me anything except post standing and how to a be punching and throwing dummy. Karate with Hsing Yi influence??? IMHO Matrix Karate has more Hsing Yi in it than the late Robert Triases Shuri Karate! I can see seemless KDW Karate, Aikido, Pa Kwa, Uechi ryu Seisan and Tai Chi principles combined in Sifu Al’s Matrix Karate. Combine Matrix Karate with Monkey Boxing and you have a much more workable and concise Kenpo art then either Tracy’s or EP Kenpo. But if you want to learn how to make money the Tracy Brothers are your go to guys!!! Ed Parker should have really listened to them as his bus. skills were not too good- sometimes luck is more important than skill and EP was lucky to have his early school in Pasadena. BTW Will Tracy was super cool to me when I was visiting and training in CA (JKD/Kali, Ninjutsu and Hapkido) in the 80’s. I want to thank you Brian for the information concerning Hsing I. I will certainly be sure to check out Mike Patterson’s instructional materials. Jerome I really appreciate you mentioning Robert Smith. 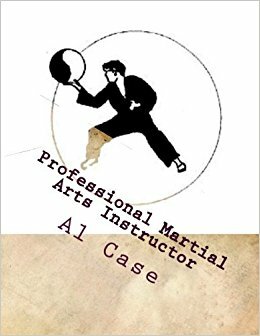 In my opinion Robert Smith was one of the first western martial art authors to open the door of knowledge regarding perhaps lesser known eastern martial art systems. I can honestly write that Robert Smith’s books were really helpful to me as an introduction to Chinese based martial arts. I do agree with Sifu Al that Robert Smith was one of the great early pioneers in the dissemination and study of varied martial art traditions. Sifu Al thank you for creating this site and sharing your wisdom! I do really appreciate and thank you all for your insightful and helpful commentaries —- thanks! Just a quick question regarding Hsing I training materials. I recently came across some older video to DVD training showing James McNeil originally on Panther Video now sold through Century Martial Arts. I am unfamiliar with James McNeil’s work and I was hoping that someone might be able to offer insight or an experienced opinion concerning these training aids. Thank you (again) everyone for your input. Sifu Al I want to thank you (again) for all your matrixing courses. I am especially enjoying the Five Army Tai Chi course! I feel that I have gotten a much better understanding of the physics and practical application behind the traditional movements of Tai Chi Chaun — thank you! Patterson & McNeil had the same Hsing-Yi Taiwanese instructor. I had McNeil’s videos on VHS and as I can not find them in any of my storage boxes so I guess that like about 80% of my personalables there were destroyed in Hurrican Rita. From what I remember McNeil’s Hsing-yi was a little more “formless” and free-flowing. But M. Patterson won many full-contact contests/tournaments as a teenager in Taiwan. Patterson has also produced many personal students who have won in Full-Contact Taiwanese fighing -very often in fact. In reality Paul you can’t go wrong with eithers videos but I actually PREFER Patterson’s shorter length 5-element Instructional video. Please add me to newsletter list. I am certain I will enjoy reading it. If I buy one of your books and toss it in the bookcase along with 30 minute Abs, will I be an MMA heavyweight? Heck, if you can benchpress a bookshelf filled with my books you’ll be the heavyweight champion of the world…even if you only weigh 130 pounds! IF I MAY REQUEST AS TO THE. EXPECTED COMPLETION OF ” THE SECRET OF THE SWORD”. Or is it in blinding steel……THANK YOU RESPECTFULLY YOURS AJMC……. Shifu Al, I just wanted to say thanks to you and to let everyone know your Matrix Teachings really work! I’ve been out of touch for the last 3 years because I’ve been living in Zhengzhou, Henan China studying Baguazhang and Taijiquan, and well my internet sucked. The lessons I learned from you helped me to advance much quicker than the other students that my Shifu taught. I’ve just moved backed to the states and am now living and teaching kung fu in Minneapolis MN. If anyone has any questions or concerns about your program, they can shoot me a message and I’ll be glad to tell them how Matrix can benefit them. One of your proud Master Instructors and 7th Generation Lineage Holder in Liang Shi Baguazhang, Robert Pettit. I am INTERESTED! ..have studied, attended & been a member of Yoshinkan Aikido & Pukalan Cimande Pukasa Silat….have studied up on the Grandfather arts of Aikido ,namely …Pa kua / Tai chi /Chin na …etc. women think. Also, tthanks for permitting me to comment! What exactly is Matrixing ? What is it? How is it done? And how can it be a useful, helpful tool to learn and teach a MA ? Which of your publications can teach me how to do it for myself? I would like to know a costa of Family package. Thanks for finally writing about > – < Liked it! I saw where you had written about Kenpo. Most people are unaware that Professor Chow’s best friend was Bill Chun Sr. Mister Chun is the only person who carried on Professor Chow’s legacy. His son, Bill Chun Jr. is currently carrying on the tradition. Check out his website. You may even want to contact him for an interview. A Humble student of Martial Arts. Hi Randy, the ultimate purpose of the martial arts is to avoid a force or flow while delivering a force or flow. That is the game entire. I’ll check out your paper, thanks for the heads up.